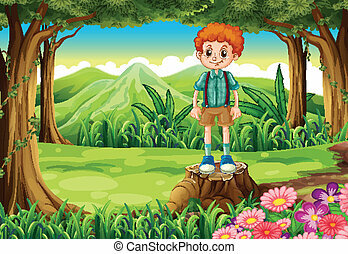 A boy at the forest. 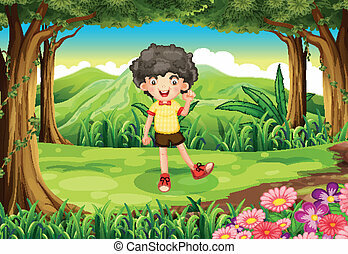 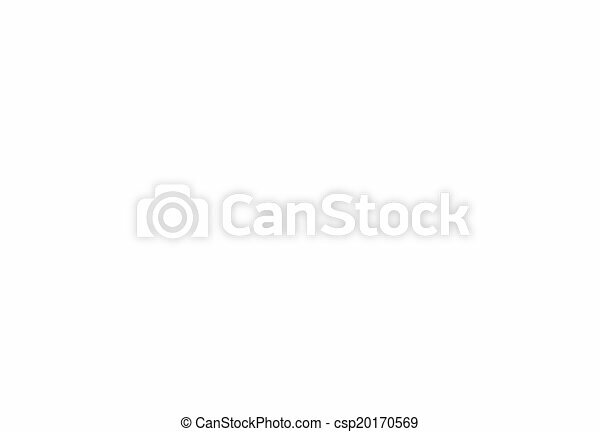 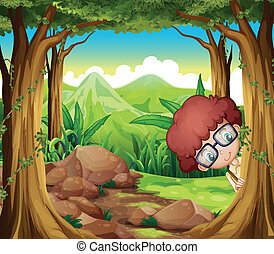 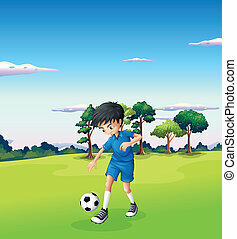 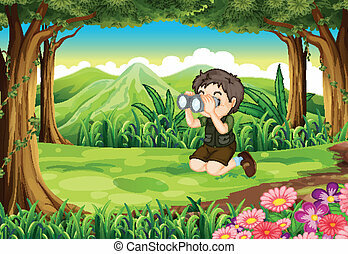 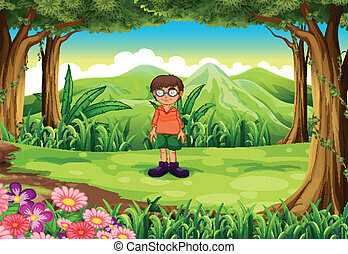 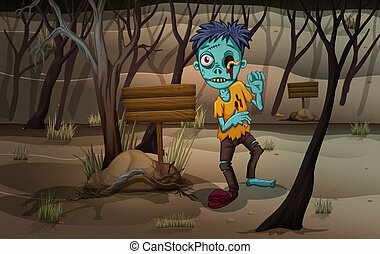 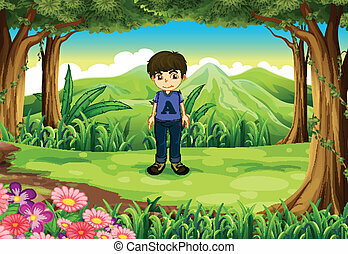 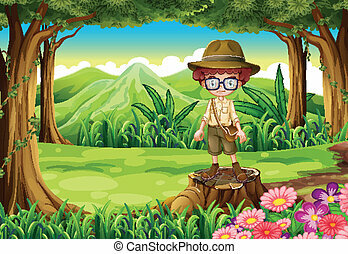 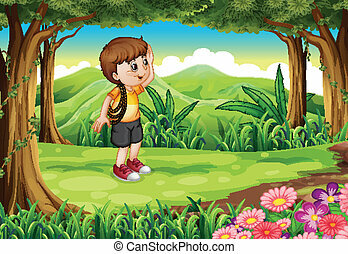 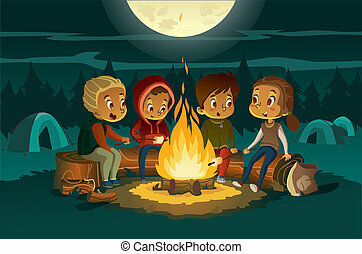 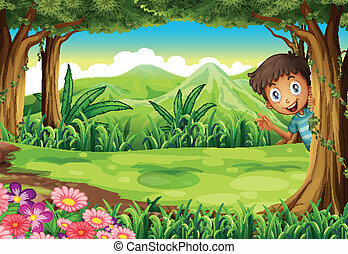 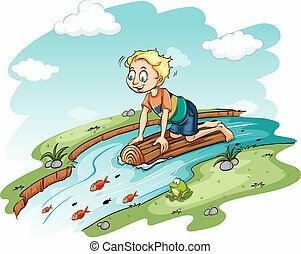 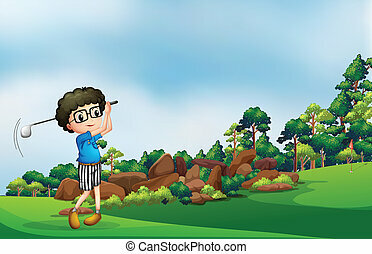 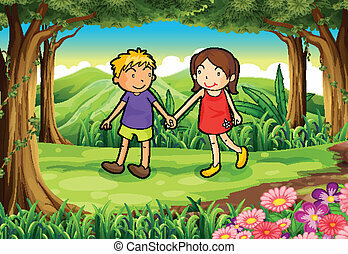 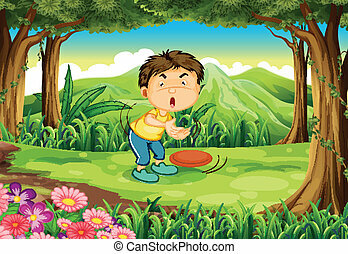 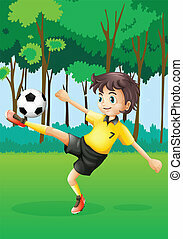 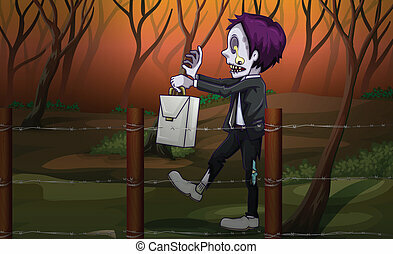 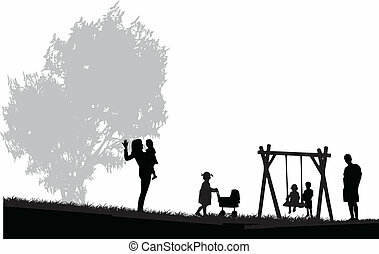 Illustration of a boy at the forest. 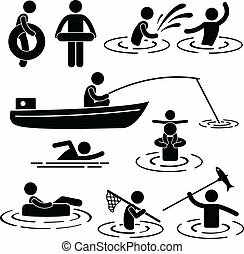 A set of pictogram representing people's activity in the river and water.